Basecamp uses the time setting on your computer or mobile device to display the times for your events. If you plan an event for noon in London, your coworkers in New York will see the event scheduled for 7 a.m., and wonder what kind of a jerk would make them get up so early. 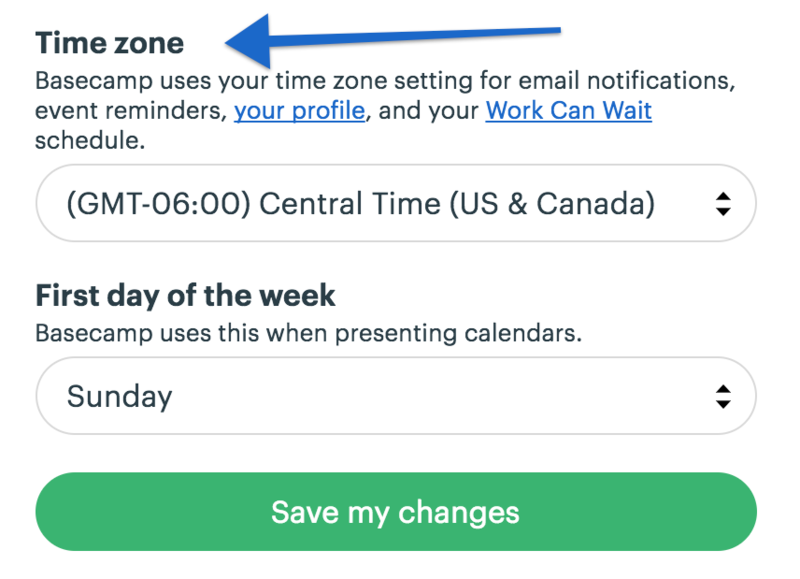 Basecamp automatically updates those times if you travel, so long as your computer is set to the local time, you're good! You also have a "My Profile" page with a time zone entry. Click on your avatar toward the upper right corner of the page, then on My Profile. 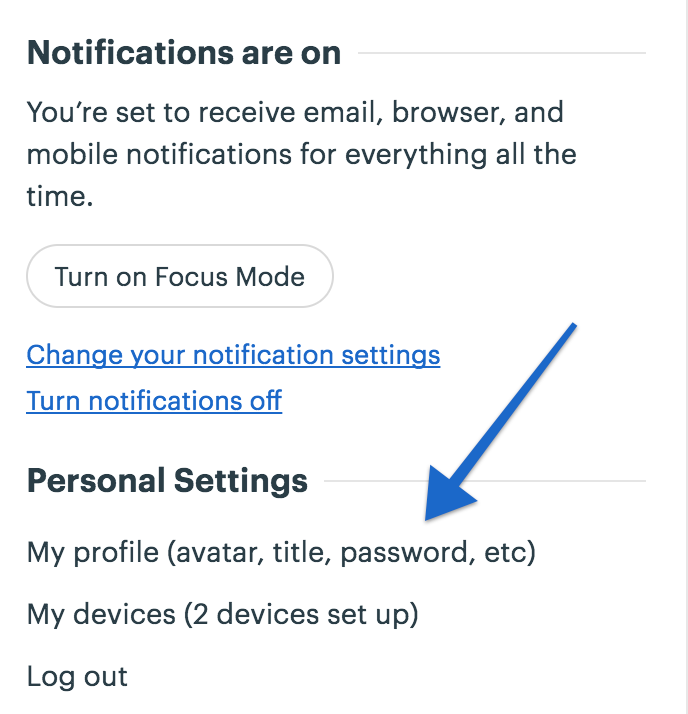 Basecamp uses that setting to determine when to send you emails. That setting does not automatically update when you travel. If you're getting your regularly scheduled emails too early or too late, update that setting.